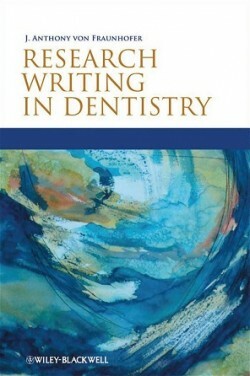 Research Writing in Dentistry provides you with a uniquely practical guide to selecting, designing, and writing up a research project. Of particular use to the dental student, both pre- and post-doctoral, this is a no-nonsense guide that presents concrete advice and information that can be absorbed quickly and effectively. By asking simple questions, this useful resource enables you to develop, analyze and present a program of research work.It begins with the basic principles of research: what it is and how to select a topic and plan a program. It then moves on to discuss study design, methods and materials, presenting results and undertaking a literature review. It concludes with a section on basic statistics and analysis. Precepts and guidance are illustrated throughout with examples from dentistry.